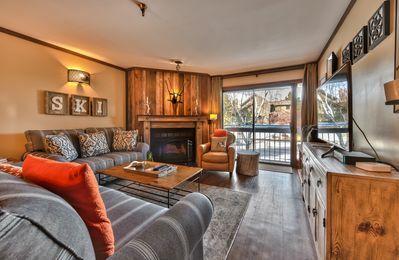 This perfect Lift Line Condo features 3 Bedrooms, 3 Bathrooms, private balcony, WIFI, Smart HDTV's, parking, shared hot tub, sleeps up to 8 people and is just 2 blocks from the best snow on earth at Park City Mountain for skiing, snowboarding, concerts and many other year-round activities. 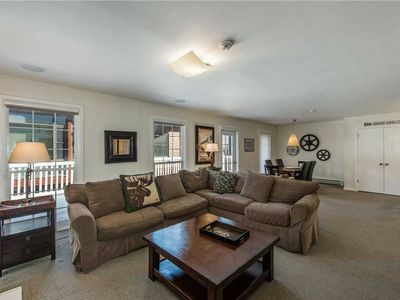 With 1350 square feet to enjoy, this property is spacious and open and just recently upgraded with all the modern amenities and fixtures. 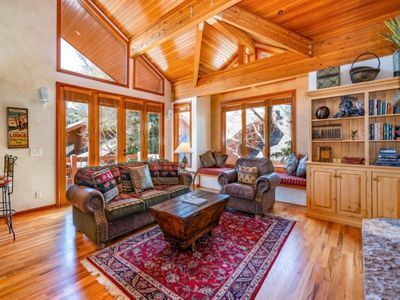 • Open concept living area features comfortable furnishings, HDTV with Comcast TV, gas fireplace and access to your private balcony. 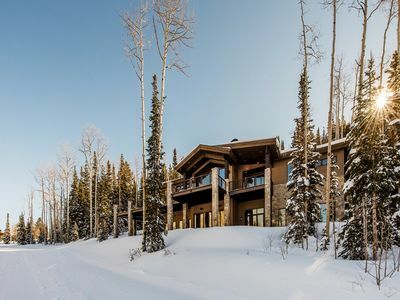 • Fully equipped kitchen opens up to the living area – complete with appliances, lots of counter space to cook and entertain, alder wood cabinetry and is fully stocked with cookware + supplies. • Dining room table offers seating for six (6) with extra seating at the breakfast bar for three (3). 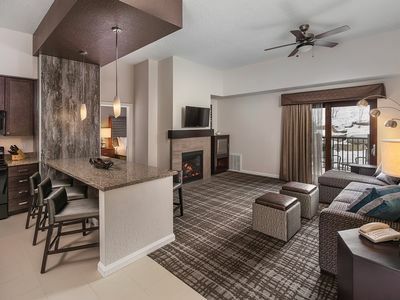 • Master bedroom (1) – king size bed (sleeps 2), comfortable linens and bedding, 45' smart HDTV, access to your private balcony, closet and en suite bathroom. 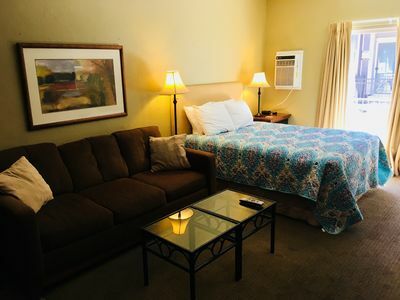 • Guest bedroom (2) – queen size bed (sleeps 2), HDTV, large dresser, closet and en suite bathroom. • Guest bedroom (3) – features two twin bunk beds and trundle bed (sleeps 5), dresser, closet and en suite bathroom. • Designated building parking spots available. • Tank-less water heater system, so you will never run out of hot water. 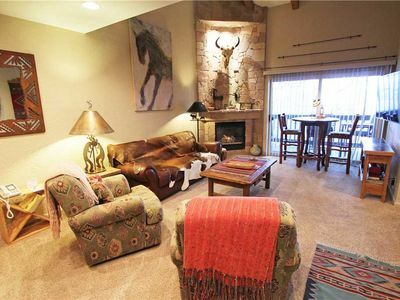 • This condo is less than 200 yards from the base of Park City Mountain – the largest ski resort in the United States. 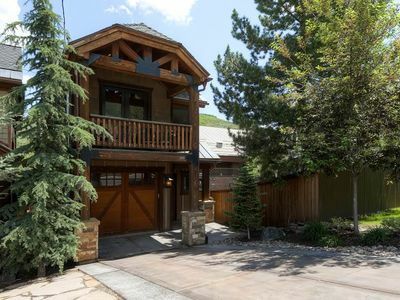 • Bus stop is also situated close to your unit, so can easily take Park City’s free public transit system to The Mountain bases, Main Street, shopping, restaurants, activities and events. 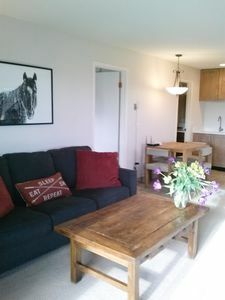 When you arrive at this recently renovated three-bedroom condo, you will feel right at home; the Owners have spent a lot of their time here, so it features all the modern amenities that you could want and all the ‘extras’ that travelers are looking for in their home. 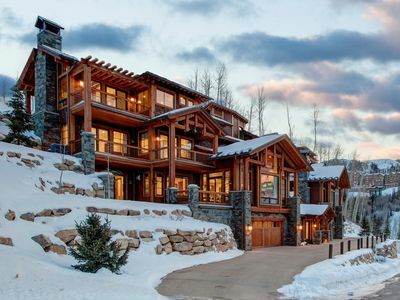 Located just 2 short blocks from Park City Mountain Resort main lifts, you can walk to the mountain for access to some of the best ski and snowboard terrain in the United States. 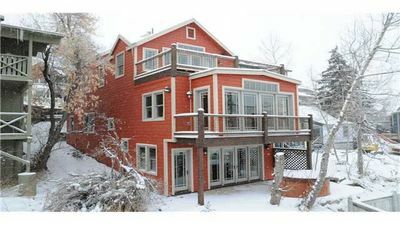 It’s location on Park Avenue is also within walking distance of a grocery store, restaurants, shopping, local activities’ and just a few steps from one of Park City’s free bus route stops. 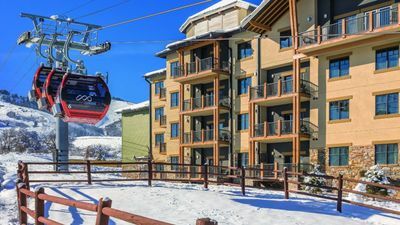 You can ride this bus to Historic Main Street, Deer Valley Resort (ski only resort) or the Canyons at Park City side for more skiing, endless shopping and exquisite dining, if you’re not up for the seven-minute walk, especially when there is A LOT of snow on the ground. 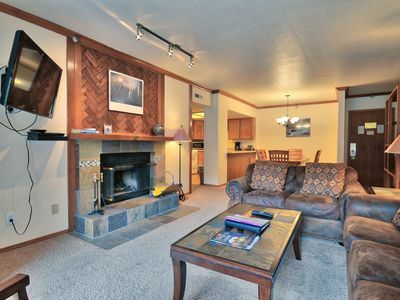 The living room features comfortable furnishings, 55” Smart HDTV with Comcast cable, Gas fireplace, laptop nook/desk and a beautiful leather sectional sofa. 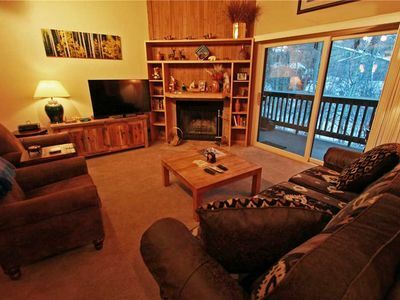 From the living area, you can also access your private balcony. 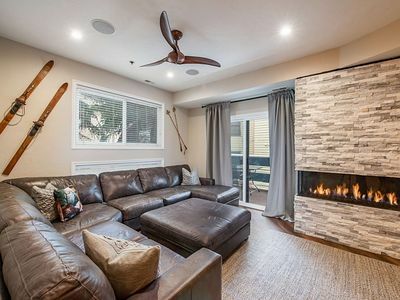 A fully equipped modern kitchen features a Quartz counter top, gas stove/oven, a full range of household appliances, stainless steel sink and alder wood cabinets make this condo an ideal place to prepare breakfast, lunch and dinner. 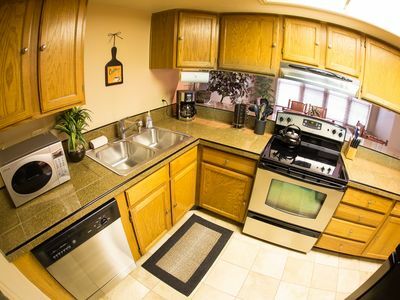 The kitchen is fully stocked with all the cookware, pots and pans, and other small household appliances that you need to make a gourmet meal. The galley style kitchen looks out to the living space for an open concept feel and also offers Guests a breakfast bar area with seating for three (3) people – especially ideal for the mornings or for entertaining. 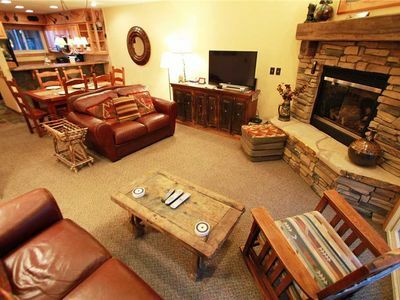 Wi-Fi is included in this condo and for those family nights when you stay-in, there is a closet full of board games and books to enjoy. Each of the 3 Bedrooms has its own individual bathroom. The Master Bedroom features a king size bed, 45" Smart HDTV, access to the balcony and en suite bathroom, complete with an oversized (6 x 3 foot) walk-in shower. The Second Bedroom features a queen size bed and has it’s own en suite bathroom with a bath tub/shower combination. The Third Bedroom features two sets of twin bunk beds and a trundle and en suite bathroom similar to bedroom two with a bathtub/shower combination. 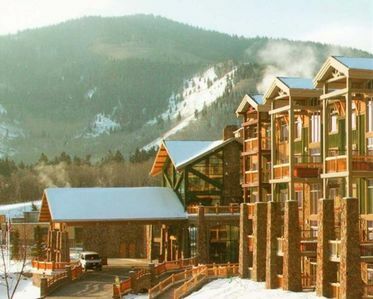 By staying at Lift Line Condominiums, you can enjoy the large common hot tub or spa, along with a dry sauna, and if you bring the kids, the complex also has a Ping-Pong table, Foosball table and additional seating available. Parking is assigned in the underground garage for one vehicle, with outside overflow parking is available. 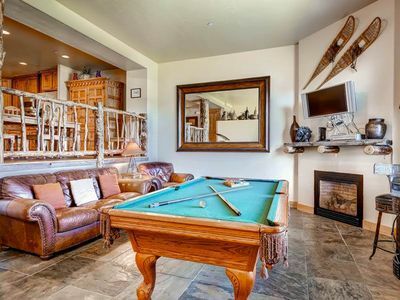 Don’t delay and book your Park City vacation today! 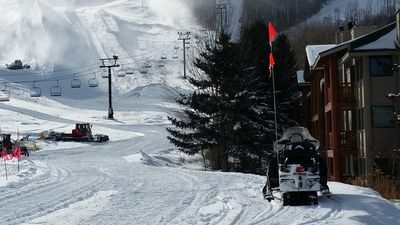 Park City is a Mountain of fun for everyone! 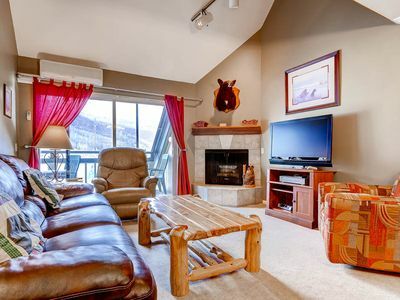 Park city Resort 3 Bedroom 2 Bath " SKI IN SKI OUT "